Description Pullman Service Great Northern (GN) Railroad Continental Breakfast Table Tent Menu GN-T1. 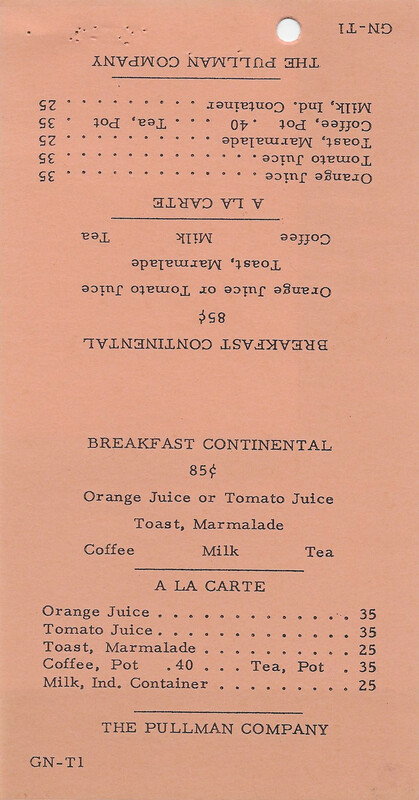 Lists Breakfast Continental for 85 cents and A La Carte items. 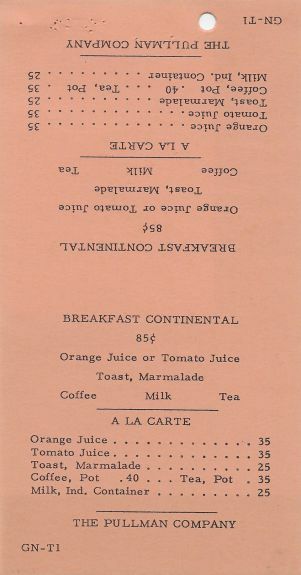 This menu was included in the official Pullman Commissary files for Line 1122, lounge car service on the Nickle Plate Road (NKP) Railroad. 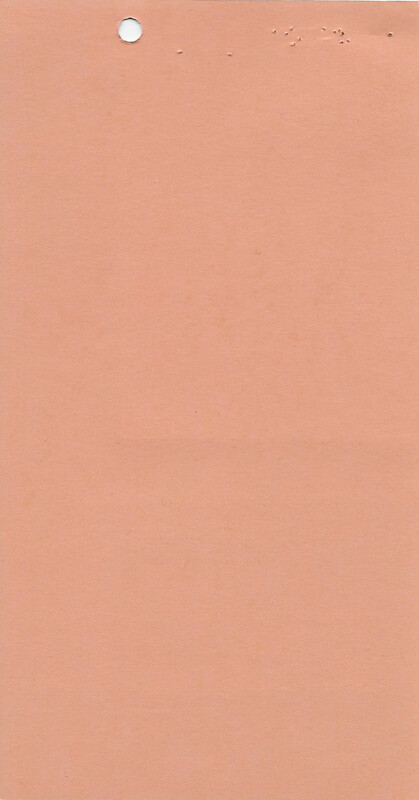 This was one of a few sample menus provided to the railroad to show what reduced Breakfast service would include when the NKP was looking to reduce costs on trains 5 and 6 between Chicago and Cleveland.